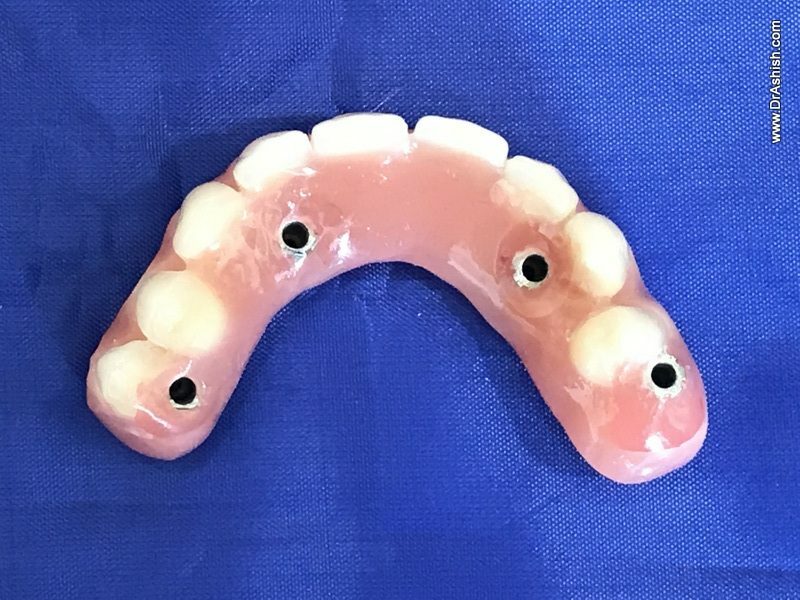 All On 4 Implants treatment was used to replace patients existing Removable Partial Denture with Fixed Teeth. 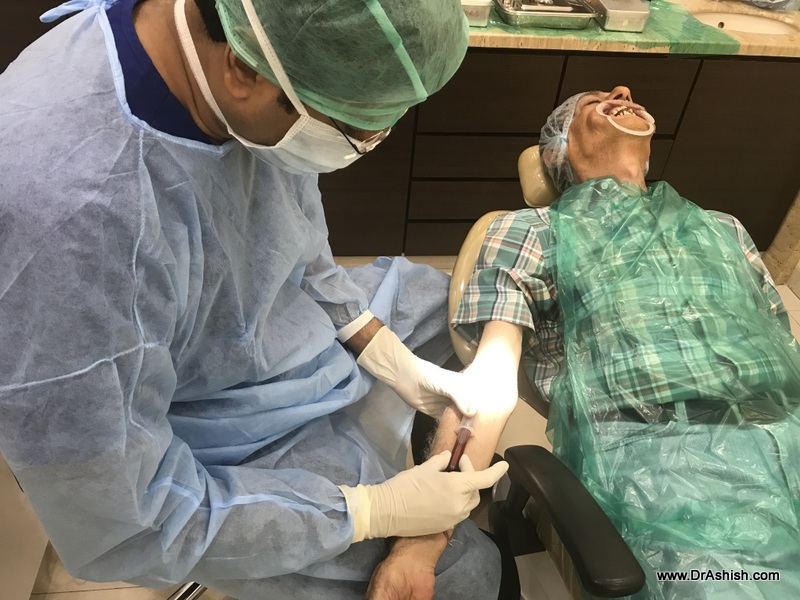 The entire treatment was completed in 24 hrs! Yes his entire upper teeth were replaced with Teeth In A Day. 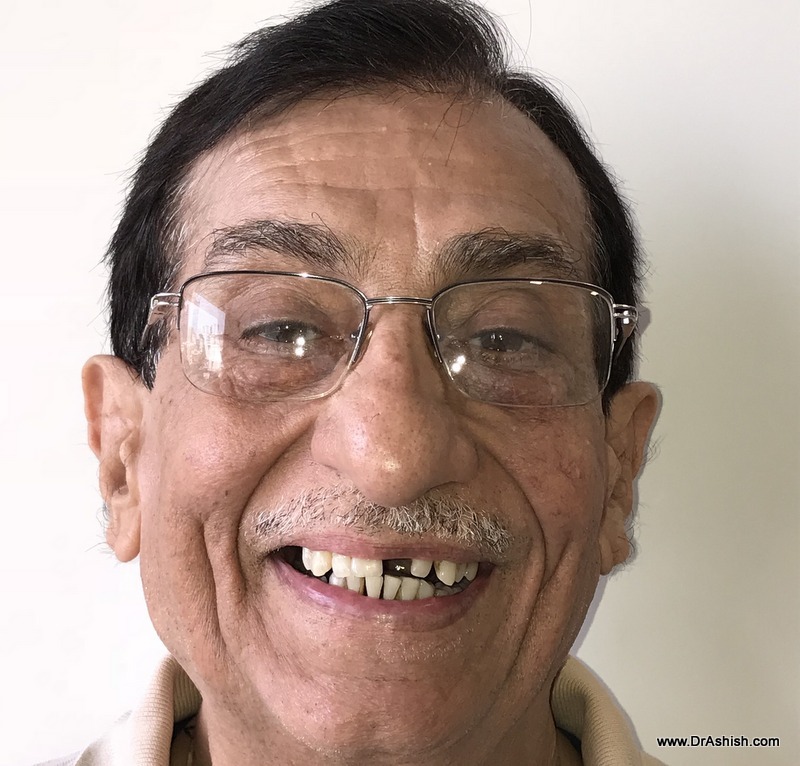 A 60-year-old man finally decides to get rid of his partial denture with Fixed Teeth with All On 4 Implants. His remaining teeth are failing. 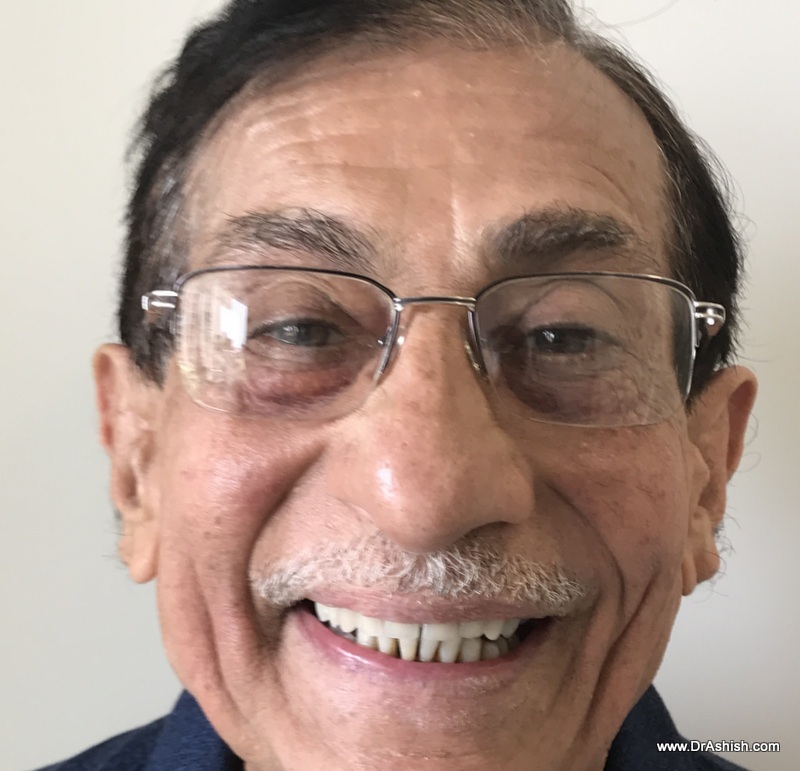 He was advised All On 4 Implants 5 years back. He comes with pus and infection in multiple teeth. 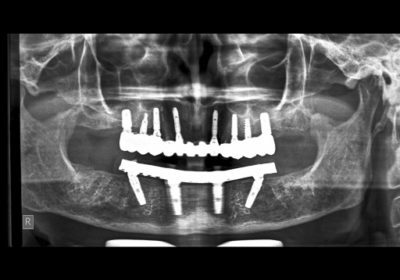 He has lost most of his jaw bone in posterior regions of his upper jaw. 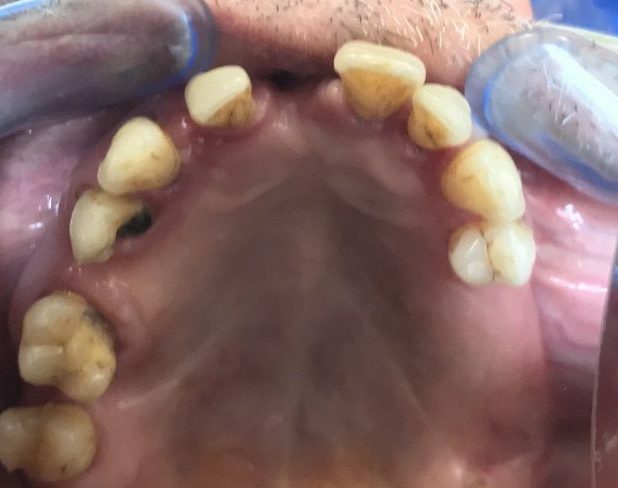 He was told he may not be able to have fixed teeth. 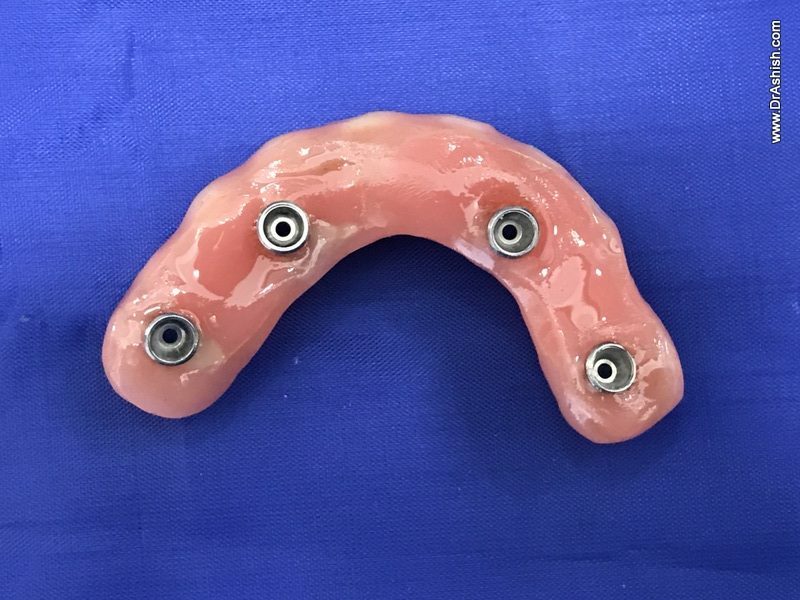 He may have to wear a complete Removable Denture or would require Sinus Lift Surgeries on both the sides of his Upper Jaw. 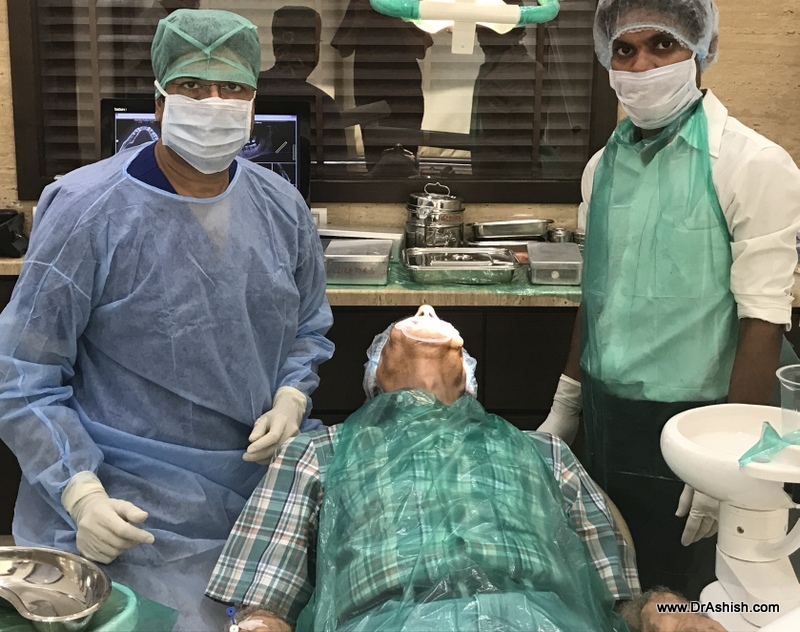 After careful evaluation and preparation, all his infected teeth are removed and Implants placed in a single surgery lasting about 2 1/2 hrs. 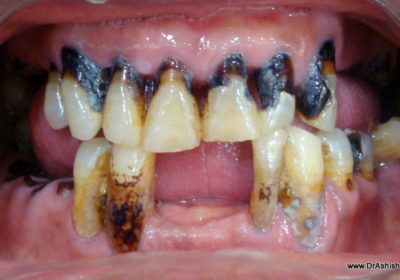 Next Day the provisional teeth are fixed on the implants. 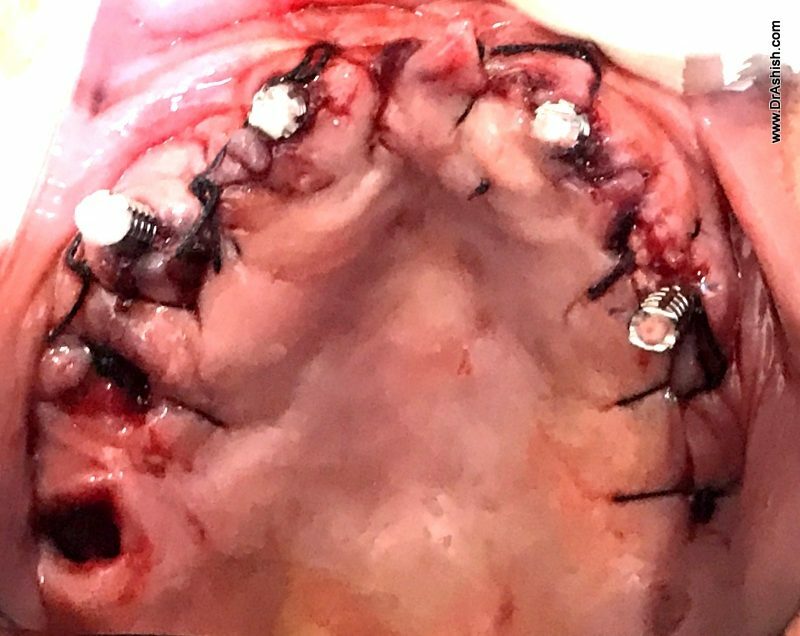 The patient will get his final Bridge after 3 months. 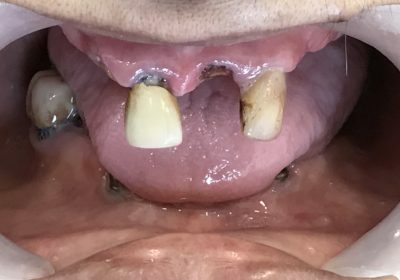 He continues to have his Screw retained fixed teeth throughout the healing phase.